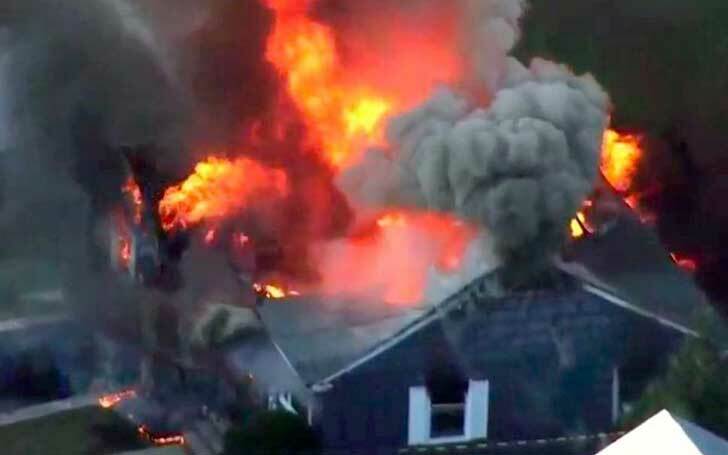 A teenager has died and a dozen more injured after a gas line explosion set fire to over 60 homes in Boston, Massachusetts. Thousands of people have been evacuated from the area after up to 70 fires started blazing in Lawrence, Andover, and North Andover on Thursday afternoon. It looked like Armageddon with decimated homes and so much smoke that you couldn't see the sky. Firefighters from around 50 different fire departments worked together to take the blazes under control. Leonel Rondon, 18, has been identified as the victim of Thursday's accident. Rondon was inside his car when a chimney from a house explosion fell on his car. He was taken to a hospital where he was pronounced dead, the Essex County District Attorney's office reported. The office further reported at least 13 patients were taken to Lawrence General Hospital. 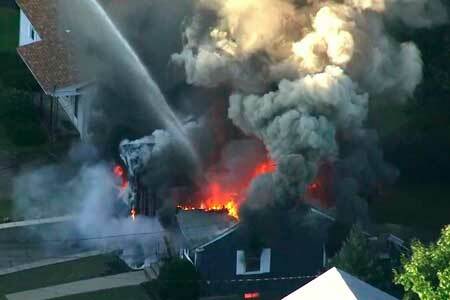 The Massachusetts State Police said in a tweet on Thursday that the people in the affected areas who have gas service from Columbia Gas should evacuate their homes. Meanwhile, the Columbia Gas also tweeted on Thursday afternoon that their crews were responding to the reports of several fires in Lawrence. Hours after, the utility's parent company released a brief statement saying the crews had been still performing the safety check in the area.